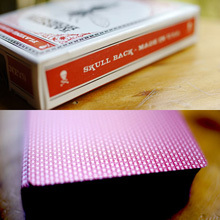 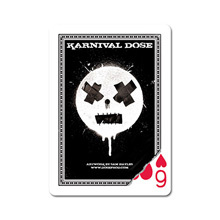 Brand new back design, Ace Of Spades, Jokers and Tuckcase. 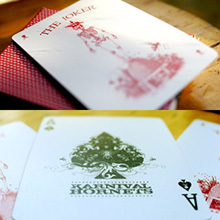 Can be integrated with standard bicycle cards and other decks from the Karnival-Inc range for creating super cool routines! 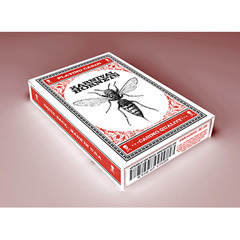 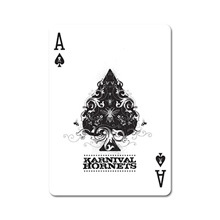 The Bicycle Karnival Hornets Deck has the USPCC world famous Air Flow Finish for superb handling and unparalleled durability. 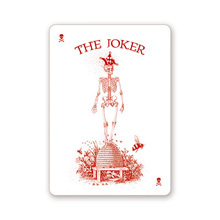 • One of the Jokers has an '3 of Spades ' being carried away by a Hornet!